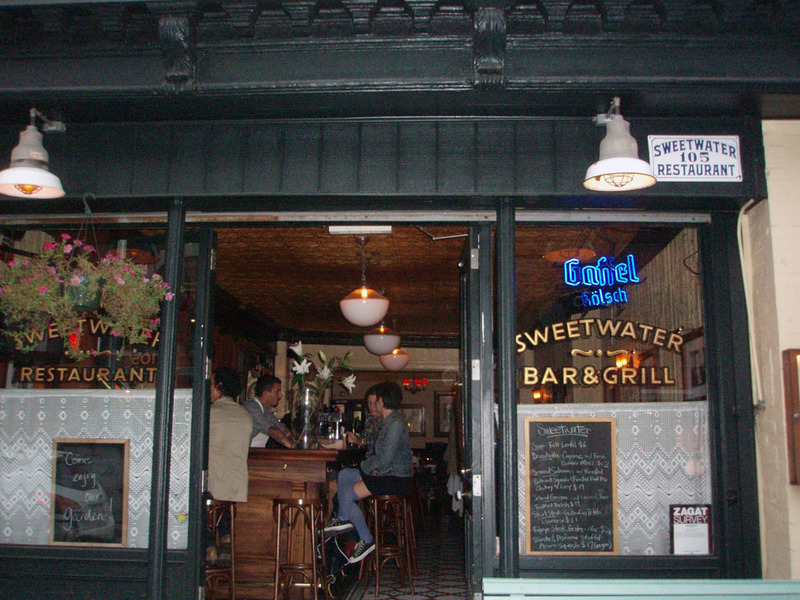 When we visited Brooklyn Brewery, we dined around the corner at a joint called Sweetwater, where Beast said her favorite burgers were made. She steered us to both Island Burgers & Shakes, and Five Guys Burgers & Fries, so we took her word for it and gave Sweetwater a try. It’s a few blocks from the Bedford Ave stop of the L train, tucked around a corner in a cozy bistro. They serve their burgers on large English muffins that look house made. The original comes with white cheddar and fries. 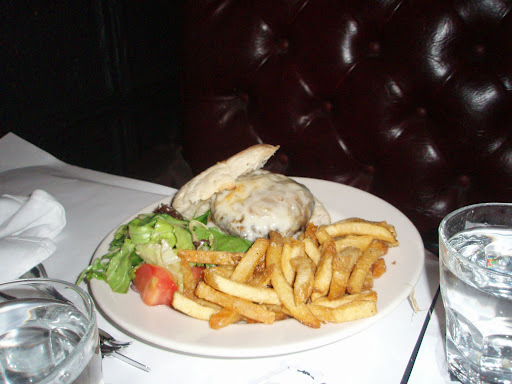 The burgers have a juicy, steaky flavor similar to Anthony Bourdain’s burger at Les Halles, but not quite as tasty. They are very good, and they are $11, a bit cheaper than Bourdain’s. Definitely worth trying if you are in Williamsburg. The beer selection is better, too. The fries were not as good as Tony’s, though. I had mine with apple smoked bacon and black truffle pecorino cheese. I’ve had that cheese on its own and it is fantastic. Here it tasted plain and without any truffle flavor. That was disappointing. The onion rings come with curry mayo and taste quite good, if a bit flaky. They use batter instead of crumbs, and they fall apart a bit. But they are pretty good. Overall the burger is worth trying, but I would stick to the standard Sweetwater burger, perhaps with the tasty bacon if you like. 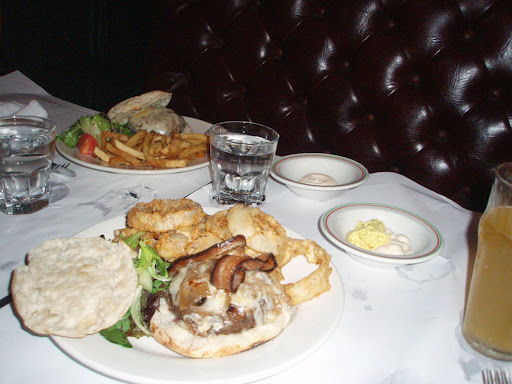 It is definitely one of the better burgers, and I love English muffins for a burger, so Sweetwater makes the list for one of the best burgers in NYC.